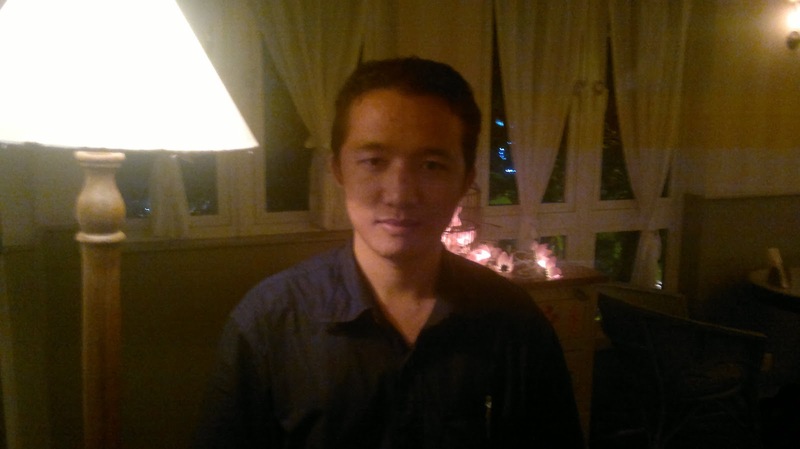 Lessons in Equanimity from a waiter! 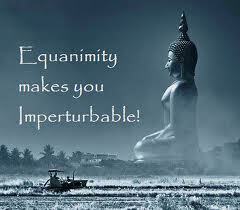 It is from acceptance that equanimity comes. Often we see people who have been exceptionally courageous in Life – in just accepting Life for what it is stoically. Karambir Kang, the General Manager of the Taj Mahal Hotel, Mumbai, who lost his wife and two children to the 26/11 terror attacks at his hotel in 2008, is a case in point. We are quick to conclude that these are people who are extraordinary. Importantly, we overlook that they were and are ordinary folks who just chose to live Life as it came to them. The tag of extraordinariness is what we, the people who see them from the outside, have given them. I have had a fairly rough morning today. Several things didn’t go to a plan. People were increasingly irritable and driving me up the wall. More than a few times, I lost my cool. Then, in a desperate bid to gather myself and find equanimity, I followed Thich Naht Hahn’s three-step process. I smiled. I watched my breathing. And I slowed down my mind that was racing in different, mostly irrelevant, directions. I looked at my checklist for the day. And I shifted my attention to a piece of paper on my desk. It was the bill of a coffee shop that I frequent. On the rear of the bill were a couple of phone numbers that the waiter there had written last evening. I wanted to enter those numbers in a place I could find them when I needed them. The waiter’s name is Calvin Lunmangte. He is a Manipuri from a village near Imphal. Last evening he came up to me, smiled his characteristic smile, and bid goodbye. He declared that he was leaving the coffee shop and the city forever. He said he was returning to Manipur to take care of his father’s business, a retail garment store. “I am unhappy but I have accepted it,” said Calvin with a tinge of sadness in his voice..
‘Why are you unhappy?” I asked. “Well I never wanted to be doing business. I like this job. I love meeting people. I like this city. My child goes to a good playschool here. My wife has a good job in a parlor here. Where I am going back to, in my village, there are no job opportunities. There’s a lot of militant activity there. But I have no choice. I have to take care of my aged parents. My father wants me to come and run his business,” he explained. “Is there no way in which you can convince your dad?” I asked hopefully. “He is too attached to Manipur. He won’t relocate. Then I realize that some things in Life will never happen your way. You only have to accept what comes to you. So, I am sad. But my sadness will go away once I go home and immerse myself in what I have to do with the business. If I can’t do what I love doing, I will love what I have to do,” he answered with amazing clarity of perspective. As he said this, I noticed that the sadness in his tone was now replaced with equanimity. He spoke slowly, peacefully. This morning as I held the bill with his numbers on the rear, I reflected on what I had learned from Calvin. You may not always get what you want – from Life, from people. But you can always want what you get! And, as I have often discovered, this acceptance, wanting what you get, is what happiness is all about! Author AVIS ViswanathanPosted on January 8, 2013 March 14, 2016 Categories Acceptance, Anger, Art of Living, Calvin Lunmangte, Equanimity, Extraordinary, Happiness, http://schemas.google.com/blogger/2008/kind#post, Intelligent Living, Losing your Cool, Ordinary, Peace, UnhappinessLeave a comment on Lessons in Equanimity from a waiter!